You can’t visit Positano in a hurry: to better appreciate its charm and beauty you need to take a stroll along its little streets and go up and down its stairway passages. A little tiring, perhaps, but this is the only way to discover the true soul of this fascinating town and understand its particular urban structure on a vertical axis, where the houses of the old fishing hamlet stand side by side to the old noble mansions. A town where the true protagonists are the colours: the colours of nature and Mediterranean brightness to be discovered all the way down to the sea, the white and brightly coloured houses or the green and yellow majolica-tiled dome of the Santa Maria Assunta Church, a symbol of Positano, which houses the 12th century painting of the Madonna Nera (The Black Virgin). It was around this time that the old town began to take on the current urban structure for defence purposes, and along the coast the defence towers were built to ward off Saracen attacks and invasions. Still standing today, Torre della Sponda, Torre Trasita and Torre Fornillo are characteristic elements of the panorama of Positano. In later centuries the construction of villas, like Palazzo Murat, Villa Sersale, Villa L’Orseola, Villa Stella Romana, which retain their original splendour, is testimony to the fact that the beauty of the landscape and the warm hospitality of the inhabitants of Positano have always attracted personalities from all over the world. In fact, testimony of the illustrious visitors to Positano can be found in the archaeological discovery in 2004 of the “villa d’otium” beneath the Santa Maria Assunta Church. The villa, dating back to between the 1st century B.C. and the 1st century A.D. is believed to have belonged to Posides Claudi Caesaris, from whose name Positano might have derived. Once completely excavated and restored, the villa is bound to become one of the main archaeological attractions in the country. The lively Positano colours can also be found in its fashion: the Positano style sprang up in the 60s, with bright patterns and colours, natural fabrics like linen, cheesecloth and cotton, and the famous sandals, made to measure by skilful craftsmen. A triumph of colours and flavours also in the culinary art of the region with products from the sea and land: the fresh fish from the Amalfi coast, the dairy products from the Lattari Mountains, the different varieties of tomatoes and little peppers are an irresistible delicacy for the palate. We mustn’t forget the lemon, with its unmistakable, intense scent and sweet juicy pulp, ideal as a dressing, but above all for making limoncello, a digestive liqueur that is a must to taste. 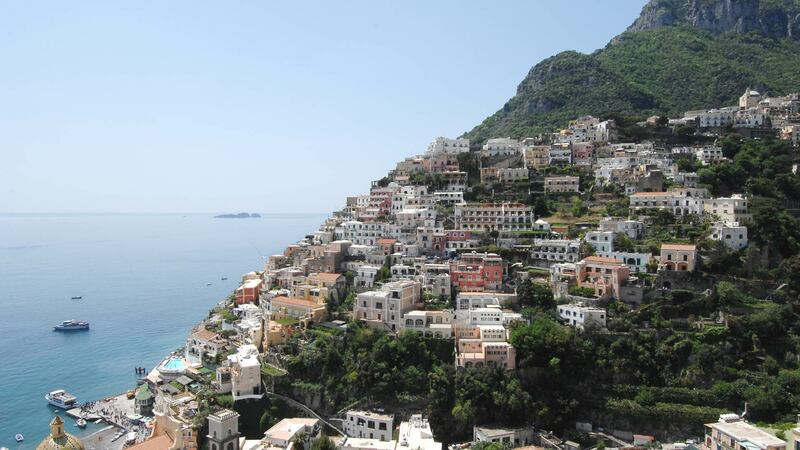 The beauty of the sea and the beaches of Positano await you for a day of total relaxation. 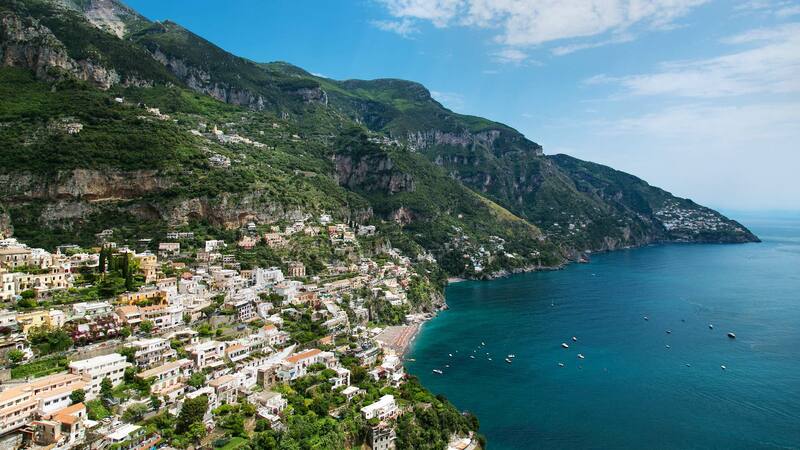 Positano offers beaches for all tastes, large and small, fully equipped lidos or secluded coves only accessible from the sea. Marina Grande is the main beach of Positano, crowded by day and night. A picture postcard scene with lidos, bars and restaurants and also embarkation points for excursions by sea and the nearby coves. The smaller Fornillo beach can be reached either from the centre of the town or along a charming pathway from Marina Grande. 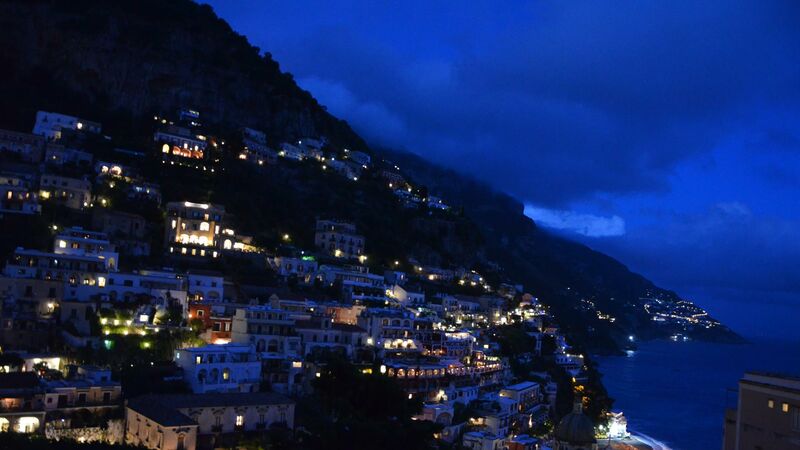 It’s difficult to resist the brightly coloured clothes and sandals that have made Positano famous all over the world. Or the brightly coloured ceramics typical of the Vietri tradition inspired by the colours of this wonderful location. While walking along the little streets of Positano you are sure to come across the elegant local crafts made in the fine tradition of the area. Sunset confers light and reflections worthy of an expressionist painting: stop and enjoy the scene, perhaps while relishing an aperitif in one of the cafés of Marina Grande. At night the town resembles a nineteenth century crib scene. Everything is ready for an unforgettable dinner in one of the many restaurants looking onto the sea to taste the specialities of the region, to delight in the gastronomy of Positano, rich and imaginative, with recipes belonging to the traditions of the sea and the land. And if you still have some energy, you can stay until late at one of the many bars or dance till dawn at Music on the Rocks.